A special ward with 12 beds has been set up at the VS Hospital in Ahmedabad to treat Zika virus-affected patients. A special ward with 12 beds has been set up at the VS Hospital in Ahmedabad to treat Zika virus-affected patients after the first case of the mosquito-borne disease this year in Gujarat was detected, an official said today. In 2017, three Zika cases were reported in Ahmedabad. "We have set up a special ward with 12 beds to treat the patients hit by the Zika virus infection. Patients from any part of the state will be treated here. 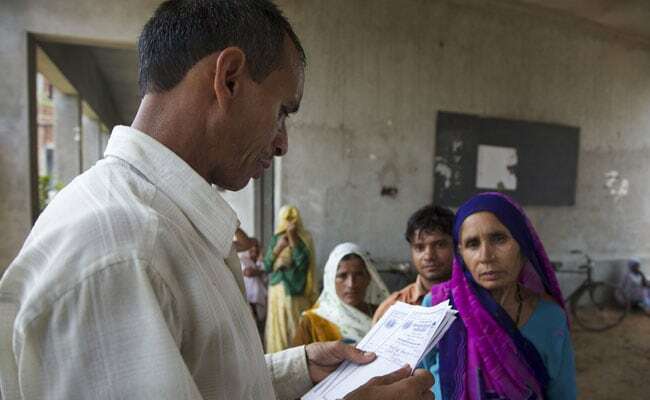 "However, no patient has been admitted at present (in the ward)," said Bhavin Solanki, the Medical Officer of the Ahmedabad Municipal Corporation (AMC), which runs the hospital. An outbreak of the Zika virus was reported in neighbouring Rajasthan earlier this month. On October 26, the authorities had said a woman admitted to a civil hospital in Ahmedabad had tested positive for the mosquito-borne disease. While the woman, admitted to the hospital on October 22, has since recovered and has been discharged from the hospital, the local administration has swung into action to stop the spread of the virus. The AMC had already launched a massive drive to stop the possible spread of the virus, officials said. Addressing a press conference in Ahmedabad on October 26, Gujarat Commissioner of Health Jayanti Ravi had said there was no need to panic as the situation was under control due to the proactive steps taken by the administration. "The Zika virus spreads through mosquito bites. The mosquitoes, which carry the dengue and chikungunya virus, also carry the Zika virus. So, the best way to stop its spread is to control the mosquitoes," she had said. Ms Ravi had also said that since there was no specific medicine for Zika, patients could take paracetamol. According to Ahmedabad Municipal Commissioner Vijay Nehra, an intensive screening exercise has been taken up with the help of 390 teams. "We have formed 390 teams and screened over 7.33 lakh people since October 22. Fogging and destruction of larva have been carried out to control the mosquito menace in the city," he said. The virus could affect the health of an unborn child if a pregnant woman contracted the infection, Mr Nehra said. The Zika virus disease is caused by a virus transmitted primarily by Aedes mosquitoes, which bite during the day. The symptoms include fever, rash, conjunctivitis, muscle and joint pain, malaise or headache.